February, of course, brings Valentine’s Day—but, perhaps not so surprisingly, it’s also Heart Health Month. So, in keeping with this theme, we present the Top 5 Heart-Healthy Foods for Heart Health Month, chosen not only for their their health benefits, but also for their romance factor. Avocados make the list for their reputation as an aphrodisiac, which actually goes back to the ancient Aztecs. But it’s their high content of monounsaturated fats (which can help lower bad cholesterol (LDL) and raise good cholesterol (HDL), as well as anti-inflammatory and cholesterol-reducing phytosterols, that makes them heart healthy. Strawberries are a romantic staple; the Ancient Romans saw them as the symbol of Venus, the goddess of love. They’re packed with folate, which may help protect your heart, as well as compounds that help widen arteries. Sweet potatoes may not be particularly romantic as a side dish, but their mere name adds something to a Valentine’s Day menu. These vegetables are high in beta carotene, vitamin C and potassium, which can help minimize arterial plaque, lower heart-disease risk and lower high blood pressure. We all know chocolate is an aphrodisiac, but did you know it may help protect your cardiovascular system? Flavonoids and other antioxidants help repair and resist heart damage, lower blood pressure and improve blood flow. Just don’t eat a box of chocolates full of added sugars. Red wine is synonymous with romance—and heart health. Antioxidants may help prevent coronary artery disease, and resveratrol may prevent damage to blood vessels, reduce bad cholesterol, and prevent blood clots. Preheat the oven to 400F. Lightly butter 4 ramekins and dust the inside with sugar or cocoa powder. 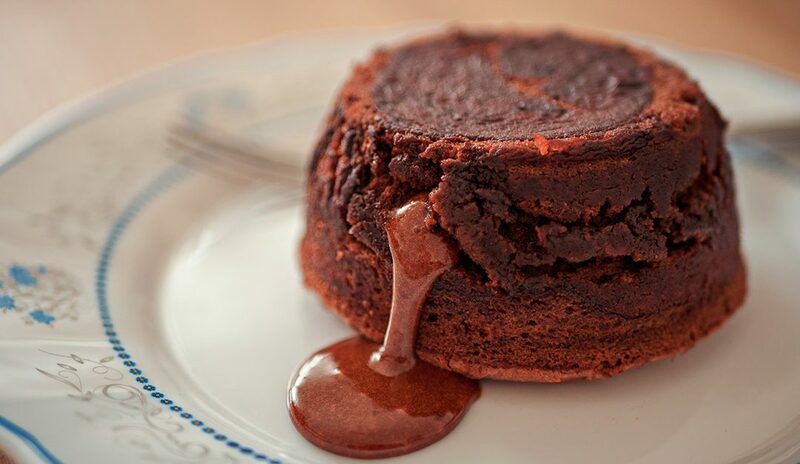 Melt the butter and chocolate in a microwave at short intervals, stirring in between. Set aside, and cool to room temperature before using. Whip the egg whites with an electric hand mixer until very foamy. Gradually sprinkle in 2 tablespoons of sugar, and continue to beat until they reach soft/medium peaks. Set aside. Whip the egg yolks with ¼ cup of sugar until pale yellow and all the sugar has dissolved. Add the vanilla extract. Gently fold the cooled chocolate into the egg yolks. Gently fold the whipped egg whites into the rest of the mixture, a little at a time. Divide the batter evenly between the ramekins. Bake for 12-15 minutes. It’s finished when the edges are set. The middle will still jiggle when you shake it. Enjoy warm with a dollop of ice cream. Really want to make a change but need some help? 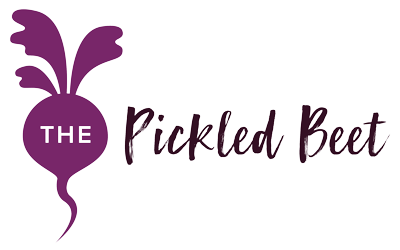 In the Miami area, look to The Pickled Beet for healthy meals custom-prepared with the freshest ingredients. We work with individuals, couples, and families to find meals that are tasty, nutritious, and best fuel the body no matter what dietary requirements might be part of the equation. Contact us for a free consultation.